Sakti Sikha as its activities on Advocating Human Rights has recently involved in a Workshop on the Protection of Civil Rights (PCR) and Prohibition of Atrocity Act jointly with District Welfare Office, Mayurbhanj, Baripada. 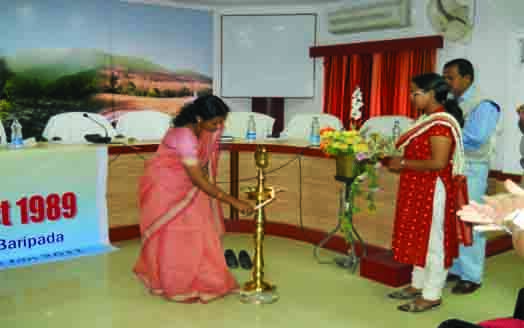 The Colector & District Magistrate Mayurbhanj was the Chief Guest of the workshop (in the photo she is inagurating the workshop along with the Secretary Sakti Sikha). The workshop was also graces by the district officials like, Sub Collector – Kaptipada, District Welfare Officer, Addl. SP, DSP, Tahasildar & WEOs and MLAs of Mayurbhanj district. The workshop was organised to provide training and building the capacity of the Welfare Extension Officers (WEO) of Mayurbhanj district on issues and challenges of the PCR & POA Act. The Executive Director of Sakti Sikha was the Key trainer of that workshop. 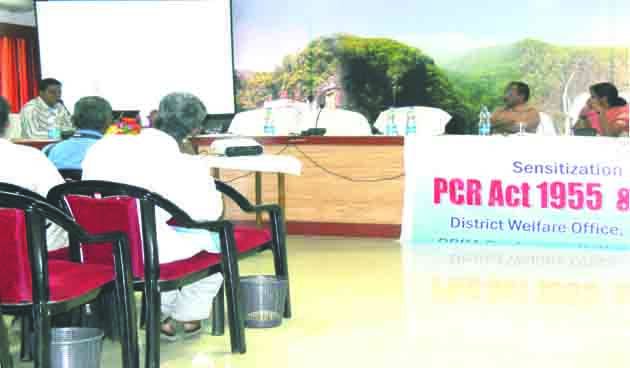 (in the photo he is giving his deliberation and interacting with the Collector & MLA-Saraskana) He was presented the overview, issues, challenges and remedial meaures for the proper implementation of the PCR & POA Act in the district which is the highest tribal dominated district of Orissa. Further MLA, Saraskana was narrate various dimensions of the lacuna of these act. The Collector was emphasized on immediate action to be taken on the offenders of the act and ordered the Police to do need fully. Further she emphasized to generate much awareness on the relief and rehabilitation measures among the community, so that they can demands for their rights.